About bloody time LJ is back and running somewhat normally and my internet connection seems stable for the moment (pu pu pu). 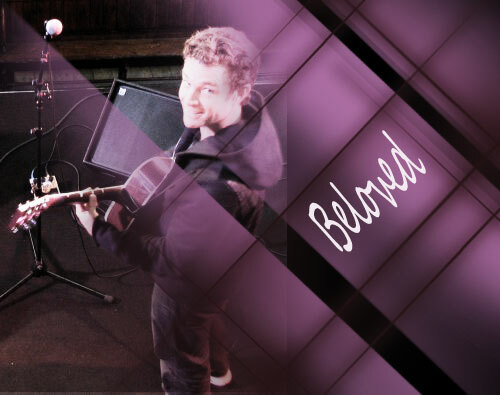 We offer you the next little bit of Beloved for your enjoyment.. This chapter takes place immediately after the previous chapter. Will has graduated from High School, leaving Nina feeling somewhat at odds. Please, as always, read and comment! Buffy!Muse seems to be happy and healthy and well on her way towards the end of the story. I’d like to keep her satisfied. Goddess bless Willa, my first and foremost mentor, gillo, for situating herself in the back of my mind when writing, celesteavonne for the steady boosting of my morale, and just_sue just because. To read Beloved from the beginning, go to my Live Journal Here or to simply_beloved: chapter 1. Time was moving on. Her Will had graduated high school, and every morning Nina found more grey in her hair and the crows’ feet surrounding her eyes had deepened. It didn’t matter that they mostly came from laughter and joy rather than frowns, they still meant something undeniably true… she was noticeably aging. And now Amanda was going to have a baby of her own, and all she could think about was her own little one, getting in his car, packing up his belongings and heading off to a college dorm. Hadn’t it been only yesterday when Angel asked her to marry him? When she officially adopted Will and became his mother, becoming one of a small family of her own? And yet, there stood Angel, still as handsome as the day they’d met, looking for all the world as if he hadn’t aged a day in the past seventeen years. Jill once said that she felt sorry for her, for never having a biological child of her own. Nina had been dumbfounded, wondering how her sister couldn’t see what she felt. Of course she had a son of her own. William was as much hers as he was Angel’s. Her son. Her little boy, who had grown into a decent, handsome young man. And of course there was Connor, who’d found his way into her heart, and via Connor, there was Dawn, and now Liam. They were hers - children and grandchild in essence if not in blood. Were they any less hers by virtue of not birthing them? No sir! She couldn’t bring herself to believe that. Not in the slightest. Nina bade Jill goodbye and put down the phone, looking around her room, mentally reviewing her home, her family, their extraordinary lives; a son born of two vampires, a billions of years old ball of energy for a daughter-in-law, an ex-vampire turned human hybrid for a son, a vampire for a husband, and herself – a werewolf. She thought of all the empty rooms in the Hyperion full of unfulfilled promises. What would her life had been like if she’d not taken a walk that night and been attacked by a werewolf? Would she eventually have found another man to love, and to love her in return? Would she have had biological children? Would her chosen career have taken off and she become an artist of some renown? Nina shook her head. When she compared what might have been to what had actually happened, she couldn’t bring herself to regret one, single thing. She couldn’t imagine a life without Angel, even as she feared for him the older she turned. What would it be like for him when she was an elderly woman and their children’s children had children and Angel would still look the handsome youth? Would he regret tying himself to her? Would he be content to even stay with an old woman who inevitably edged closer and closer to leaving him behind? Nina wished she could spare him the pain. Within weeks they would be driving William to college. The boy… young man would surely complain about the two of them fussing like mother hens over him. He was going to say he wasn’t a little kid anymore. But who could blame her? To her, in many ways he was still that little boy with the dazzling smile when she picked him up and held him in her arms. And no matter how hard she tried, she would never forget the empty hole in her life when William was kidnapped, or the traumatized youngster that Angel brought back from England. How in the world could she be expected to just ‘let go’ now, when the last time they were parted, it nearly destroyed them all? In her rational mind, Nina knew the situations were diametrically different. Will wasn’t being taken from her – he was leaving on his own for life’s grand adventure. And he’d be back often – for holidays and vacations, not to mention phone calls and emails. It was what came next that left her shaky; when he graduated college, met a girl and fell in love. Married. Started a family of his own like Amanda. Surely Jill felt all these same insecurities, too. Yet, she managed to let her daughter fly, and Nina supposed she would have to do the same for Will when the time came. It was hard to think about, but it was something she’d have to come to grips with, because she was his mother, and a mother only wanted her children to be happy. Keeping him tied to her apron strings would not be conducive to his happiness in the slightest. And if she found herself in need of a little lift? She could always attack that hidden box of Russell Stover Mint Dreams she kept hidden in the bedroom closet. Nina kept them as fiercely guarded as any wolf protecting her cubs. Nobody comes between a stressed out woman and her chocolates. She sensed him at the door, a quiet sentinel. When she looked up, Angel walked in, slung an arm around her shoulders and shepherded her towards their bed. “I love you,” he murmured into the crook of her neck, nuzzling that tender spot behind her ear. Nina wanted to go with the sensation and make love with her husband, but the niggling doubt still remained and she couldn’t stop her mind from racing. Was he truly in love with her, or had she become nothing more than a duty to attend to? A sharp nip over her pulse point brought her attention into focus. “You’re thinking too much,” Angel said, brushing her hair away from her face. Looking deeply into his eyes, Nina could see the love clearly shining there for her. She’d been foolish to doubt him. She fell into his embrace and luxuriated in the feel of his hands through her hair. He pulled it free of it’s restraint and let the strands flow between his fingers. “Angel!” Really, the man was starting to sound like a lovesick teenager. Nina tried to shush him with a kiss, but he kept repeating the phrase – over and over he told her he loved her and kissed her in-between the words, until they both collapsed into giggles on the bed, so involved with each other that they didn’t sense the door opening and William streaking back out in record time, shutting the door behind his hasty exit. Why should anyone pity her? She thought her life was absolutely perfect. WOW what a great insight into Nina.. Just love how she and Angel are able to really make a go at it. That was a lovely interlude, told from Nina's POV.